The information contained in the pages contained in our website is for information purposes only. 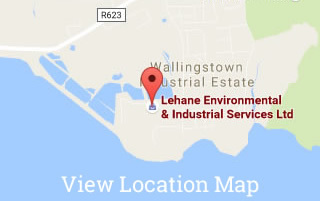 Whilst every care has been taken in its preparation Lehane Environmental & Industrial Services Ltd, its subsidiaries and associated companies do not make any warranties or representations as to its accuracy or reliability. In no event do we accept liability of any description including liability for negligence for any damages whatsoever resulting from loss of use, data or profits arising out of or in connection with the viewing, use or performance of this website or its contents.